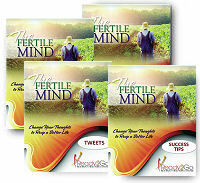 Audio Training Program: The Fertile Mind - Change Your Thoughts to Reap a Better Life from Ready2Go Marketing Solutions, Inc.
No matter who you are, where you’re from, or what you do, at some point or another, your mind plays tricks on you. Have you ever been absolutely convinced about something, only to find out later that it’s false? Have you ever talked yourself out of doing something that was potentially fun, adventurous, or really good for your career? Have you ever convinced yourself that you’re not good enough, strong enough, young enough, or smart enough to do what you really want to do? Well, that’s your mind playing tricks on you. It’s not that your mind is mean, malicious, or “out to get you”…no, it’s just trying to help. You were born with an incredibly powerful tool built into your system, and if you’re like most people, you have no idea what it’s capable of. You let it operate on overdrive with no guidance or supervision, and then you wonder why you’ve got trouble & messes scattered throughout your life. Here's an important fact: Your mind wants to work on your behalf, and it will follow the orders you give it. However, if you don’t consciously give it something to do, it will keep itself busy, taking orders from the random input you provide it…and that’s when things get tricky. Introducing The Fertile Mind audio training program - a 6 part audio course where your clients will discover strategies, tools and tricks to start managing their mind, and choosing more empowering thoughts to move them forward in all areas of life. In 6 audio trainings, your clients will discover how to think more clearly, make better choices, and live their life in alignment with their own design. Our mind is an immensely powerful tool for creation, understanding and intelligence, and it’s time to learn how to use it in healthy, productive ways. 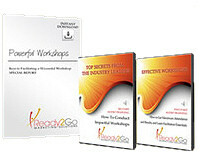 This program will show your clients how. The 4 things YOU should be doing every morning to start your day. 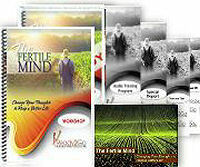 Order The Fertile Mind audio training program today.